According to one school of thought, the cosmos started expanding exponentially after the Big Bang. In most parts, this expansion or "inflation" continues eternally, except for a few pockets where it stops. These pockets are where universes like ours are formed—multitudes of them that are often likened to "bubbles" in an ever-expanding ocean dubbed the multiverse. Many scientists don't like the idea, including Hawking, who said in an interview last year: "I have never been a fan of the multiverse." If we do live in an ever-inflating multiverse, it would mean the laws of physics and chemistry can differ from one universe to another, a concept that scientists struggle to accept. In his last contribution to cosmology, Hawking—with co-author Thomas Hertog from the KU Leuven university in Belgium—does not dismiss the multiverse concept, but proposes dramatically scaling it down. "We are not down to a single, unique universe," the University of Cambridge quoted Hawking as saying of the paper submitted before his death on March 14 and published this week in the Journal of High Energy Physics. However, "our findings imply a significant reduction of the multiverse, to a much smaller range of possible universes." The new hypothesis relies on a branch of theoretical physics known as string theory, and concludes that the cosmos is "clearly finite", Hertog told AFP, though still composed of numerous universes. "It is a debate that touches on the very foundations of cosmology," Hertog said. "The underlying question is whether we can achieve a deeper understanding of where the laws of nature come from, and whether they are unique." Not everyone likes the new theory. "The idea that we live in a 'multiverse' is a fringe idea in a small part of a subfield of the physics community," said theoretical physicist Sabine Hossenfelder of the Frankfurt Institute for Advanced Studies. "Nobody who does serious science works with the multiverse because it's utterly useless," she told AFP. The main problem, Hossenfelder explains, is that any multiverse theory is "underdetermined" and "doesn't contain enough information to make calculations". For detractors, a multiverse theory complicates our understanding of our own Universe. But it has its defenders too. 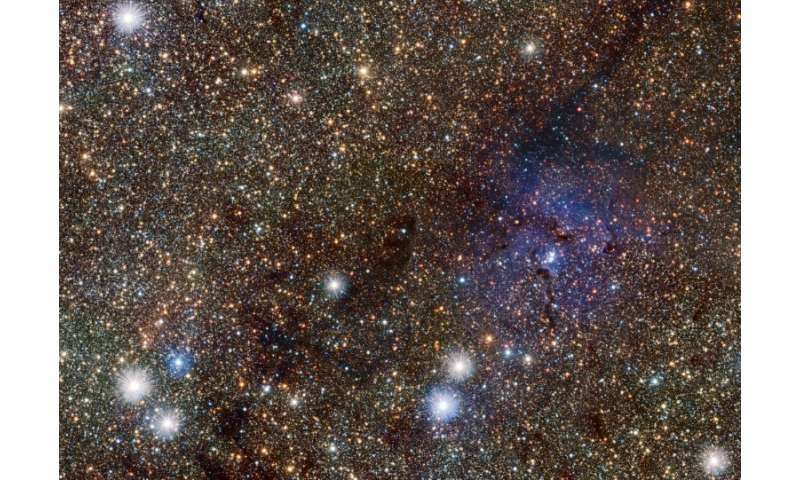 For astrophysicist Aurelien Barrau of Laboratory of Subatomic Physics and Cosmology in Paris, "the concept makes sense." "It is remarkable that today numerous types of universe can be envisaged. Several theories, reliable for some and speculative for others, lead to the prediction of a multiverse," he said. For Hertog, the new theory is a step in the right direction. It "makes the cosmology based on our new theory a lot more predictive, a lot... stronger as a scientific theory and therefore ultimately, we hope, testable", he explains on the UK Leuven website. Hossenfelder disagrees. She described the new theory as just another "variant" of eternal inflation, "with some additional assumptions on top of it." Thomas Hertog, who co-authored work on the multiverse concept with Hawking, says the measurement of gravitational waves can help determine whether the theory is scientifically soundHertog hopes to use gravitational waves, ripples in the fabric of spacetime caused by black hole collisions, supernova explosions, or the formation of the early Universe, to test the new hypothesis he created with Hawking. The British cosmologist died at the age of 76 after a lifelong battle against motor neurone disease, which paralysed him and left him unable to speak. 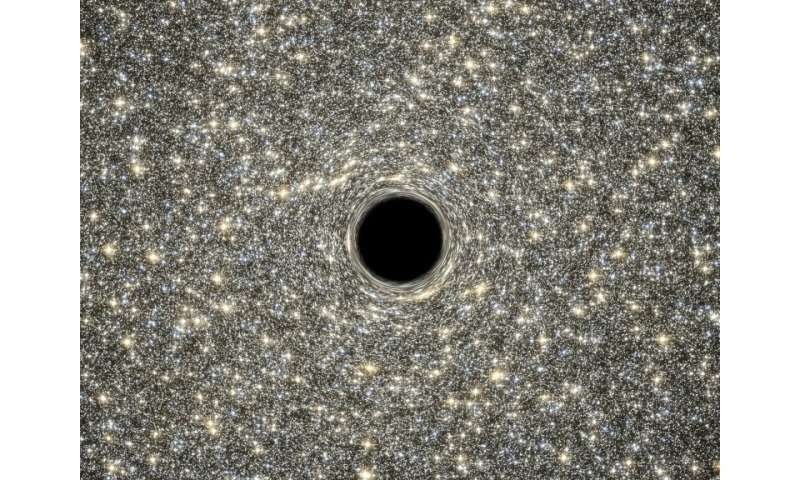 Hawking, who once said his life goal was "a complete understanding of the universe", famously overturned a core tenet of physics by predicting that black holes—believed until then to devour everything in their vicinity, including light—leak radiation. String theory, religion and multiverse each rely on faith in the inspired seer rather than empirically verifiable science. Each of them, including the Christian religion, hope that one day physical verification of their faith will occur. Do we really need this in science? Cosmology is a great fantasy. You can have anything you want & you never need to know how to solve differential equations to be tagged as someone who has a scientific mind bent, right jonesy? schneibo? Etc? More meaningless nonsense from an irrelevant sideshow cripple! I think this is actually pretty important. Yeah most theories of a multiverse aren't scientific, but there are a lot of lines of reasoning that imply it could be a possibility. By discovering constraints on the allowable physics of hypothetical other universes, maybe we will eventually get some insight into our own measurable universe, and why it is the way it is. Who knows what gravitational astronomy is going to bring to the table over the next 30 years, we've only scratched the surface of what we can measure the cosmos with. This branch of science has only been around for 100 years, who knows where we will be at 400 years from now. What happened to gravitons antiparticle? Steve 200mph Cruiz > Who knows what gravitational astronomy is going to bring to the table over the next 30 years, we've only scratched the surface of what we can measure the cosmos with. This branch of science has only been around for 100 years, who knows where we will be at 400 years from now. We've been using Chinese rockets for a 1000years, in 400yeays that will be 1400years and its already 50years since we last stepped foot on a planet, and that was in earth's orbit. What has happened to theorising of late, what happened to gravitons antiparticle, the gravitons antiparticle will free us of those obsolete chemical rockets that have served their purpose? Bosons dont have anti-particles, there is no such thing as an anti-photon either. I understand rocket tech is old, I just don't think the science of cosmology existed until Hubble found out we aren't the only galaxy and that the universe appears to be expanding faster and faster. For it to be a science you need to take measurements of the large scale structure of the universe, which we don't have until about 100 years ago. Steve 200mph Cruiz > Bosons don't have anti-particles, there is no such thing as an anti-photon either. Its different but related, there is a limit as to what we can theorise about our universe that can only be corrected by visiting our galaxies, at present we have no space propulsion engine so no means of getting there, as our moon is the limit and now gravitons antiparticle is ruled out. Theorising beyond our solar system comes with the wish to visit; we cannot even send unmanned space vehicles beyond our solar system in our lifetime. Therefore, the material universe is not all that exists. Isn't it clear that physics and cosmology and even biology are leading to the conclusion that that the universe is not material? The material paradigm is good for inventing things. It goes beyond its capabilities when it attempts to explain creation. Heisenberg uncertainty is the proof that our universe/multiuniverse is finite. Self-styled sage 'Bob' wrote: "But you are spirit. Therefore..."
Self-styled sage Bob does not understand the difference between an assumption and a fact. He's none too clear with definitions, either. What, exactly, does he mean by 'spirit' in the context of a discussion about science? Science is about measurements. Where are Bob's measurements? Who allows the function of each of your living cells and you know which programs you have built into your brain. ? Where can these programs be purchased and what they need to function? Imagine how small a sperm is and what develops from it. Whether it was created under the influence of a "small, inch, medium, virtual burst". Every normal person, if he knows himself, will never say that everything was created out of nothing, and that nothing spreads, and multiplies it as viruses. Call upon consciousness to return to you, because you will disappear in some universe, which some see as a bubble. These are your theories of Dante's hell. When you enter there, do you see a warning: "through me I enter the eternal city of distress, through me passes into eternal suffering, leave all who enter." Everyone has heard of Georges Lemaitre's Cosmic-Egg where it has the escape velocity of light, in effect we are living in a blackhole with a 15billion light radius. All a multiverse is are Cosmic-Eggs spread throughout the vacuum of space. There are no intellectual gymnastics hoops of the imagination to jump through to realise the blackhole with its 15billion light radius that we inhabit is the same as Georges Lemaitre's Cosmic-Egg but in billion of numbers. Just like when the sun when round the earth and we realised our arrogance and believe differently. It is equally arrogant to refute Steven Hawkins's suggestion that Georges Lemaitre's Cosmic-Egg is billions in number! What ever he believed or though he believed he has now solved the great mystery. And will satisfy his debt if there is one. Of course he is answering to a higher power as I believe. He was an arrogant fool. Is it logical and logical to make conclusions and claims about phenomena in the universe at distances of billions of light years, and no one has yet learned from science: why our moon, which is only one light-time from us, no one knows what our moon always has one side facing the earth? Do you know who you give many of your claims about these remote femmes? If science finds out this about the moon, then it will find out what are the true and true paths of the celestial bodies and will see that Einstein's, Lorenz's and Hablov's claims are only fabrications and their fossom. Who wants to discuss the position of the moon? "Steven Hawkins suggestion that Georges Lemaitre Cosmic-Egg is billions in number "
"Science is about measurements. Where are Bob's measurements?" Sorry guys and gals according to research done by CERN and BASE the Universe shouldn't exist at all. Anyone who does not know what matter is, and how and from what it forms, is only man if he is, without consciousness, and therefore does not know any of the natural laws. With such human beings everything is blurred in their memory, like some dull dream. Which fool can say that there is no universe, or there are billions of universes. Then it was formed as a forgery of nature in order to prove that there can be such, which do not comprehend anything in the universe. 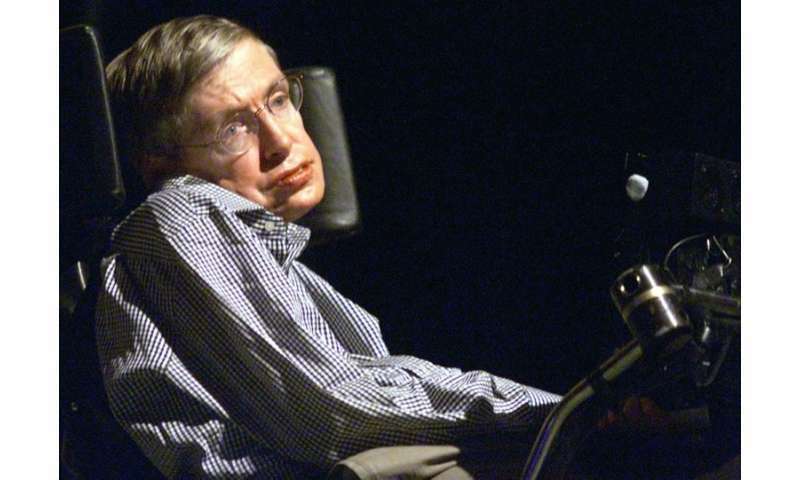 Who the hell is Steven Hawkins? like most scholars, are pupils who were educated in "elementary school Einstein" and had their deity BB, to which they still believe today. Da Schneib> Who the hell is Steven Hawkins? Its a bit late now, he's with the angels in eternal peace. Even atheists have their seat reserved, it is metaphysical figure of speech because there is nowhere to go as in the end we just go back to the earth whence we came. A much smaller question: will rodkeh ever comment on a story without a) hurling insults b) avoiding even the slightest effort toward making an evidence-based case for his/her claims?